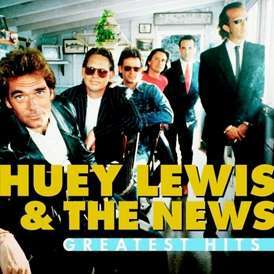 On Saturday, June 13, rock and roll legend Huey Lewis and The News will take the stage as part of Universal Orlando Resort’s 25th Anniversary Concert Series. As they enter their 36th year together, the classic American rock band continues to thrill audiences worldwide with their own unique sound. With more than 20 million albums sold, the GRAMMY award-winning group has written and performed classic hits including, “Heart of Rock & Roll,” “Do You Believe In Love” and “Workin’ For A Livin’.” “The Power of Love,” which was nominated for an Academy Award, also became a worldwide hit for the band and reached No. 1 on Billboard’s singles chart. On select nights through June 20, Universal Studios Florida will host a diverse lineup of award-winning, chart-topping artists to celebrate its 25th anniversary year. The excitement of the concert series is included with admission to Universal Studios Florida or with an Annual Pass. For more information, visit www.universalorlando.com. Previous Post Summer Fun With Sun-N-Fun Resort!